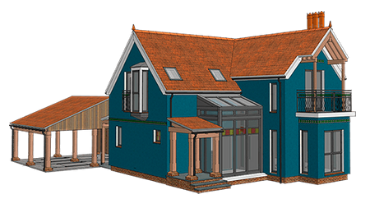 Working with property agent Fidẽlitãs to secure the land, Border Oak Design & Construction is bringing Threals Lane to market, offering six large, Arts and Crafts bespoke custom build homes near the West Sussex village of West Chiltington. The 5.43 acre site has recently received planning permission for the new homes, which range in size from 3,000-6,000 sq. 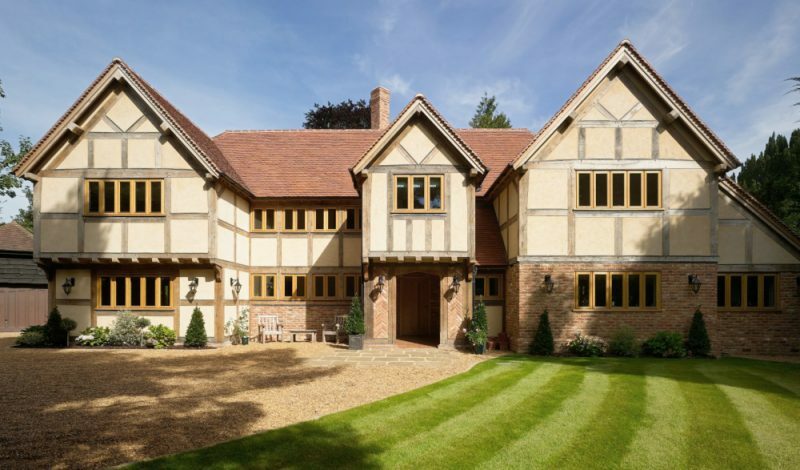 ft. All the homes will be designed and built by award-winning Border Oak with traditional, handmade oak-framed construction, and the secluded plots range in size from 0.25 – 0.91 acres. Guide prices expected to start from around £500,000 up to £1 million per plot. Set on ‘no through lane’ close to the popular conservation village of West Chiltington, the homes will be built to the detailed planning permission, to buyer’s bespoke design and finish specification. The Custom Build route offers an opportunity to create a made-to-order family home, and is perfect for would-be builders, as the guidance and design expertise of Custom Build professionals simplifies and de-risks the process. Fidẽlitãs worked with the landowner to get to point where the plots were awarded planning permission, and the property agent recommends any landowner looking for a route to market to consider Custom Build as a viable way forwards, not least because it offers a more palatable form of development for councils and communities. 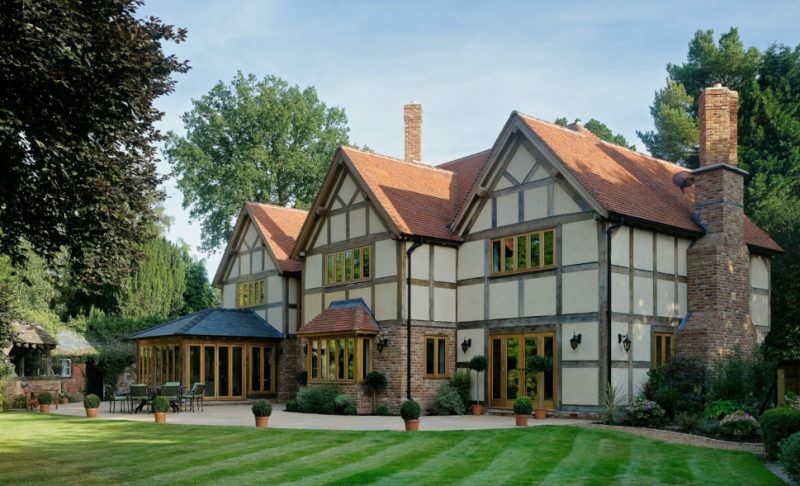 Border Oak creates stunning homes using traditional oak building techniques, such as this manor house home. 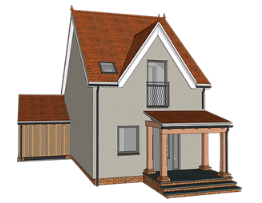 The designs at Threals Lane will take this traditional design route. Custom Build Homes is marketing Oakley Orchards, a 51-home custom build scheme on the edge of Great Oakley in Essex. The homes are designed around a scheme that’s car-free at its centre, with parking and garages arranged around the edge of the development, creating a pedestrian-friendly scheme interspersed with communal spaces and orchards. The organic approach to the design gives the development meandering paths and streets, with plenty of adjacent parking close by. Village Makers, the company enabling the site, have created a series of serviced plots that come with Detailed Planning Permission (DPP), with an agreed build contract to provide a customisable home built to Passive House standard. Building to this standard ensures that the homes will be extremely energy efficient, helping to ensure low running costs. Buyers have almost complete freedom internally to design their home’s layout and finishes, with six house types to choose from, ranging between 2-5 bedrooms. Designed with the concept of community in mind, the smaller properties are expected to appeal to a mix of first-time buyers and downsizers. 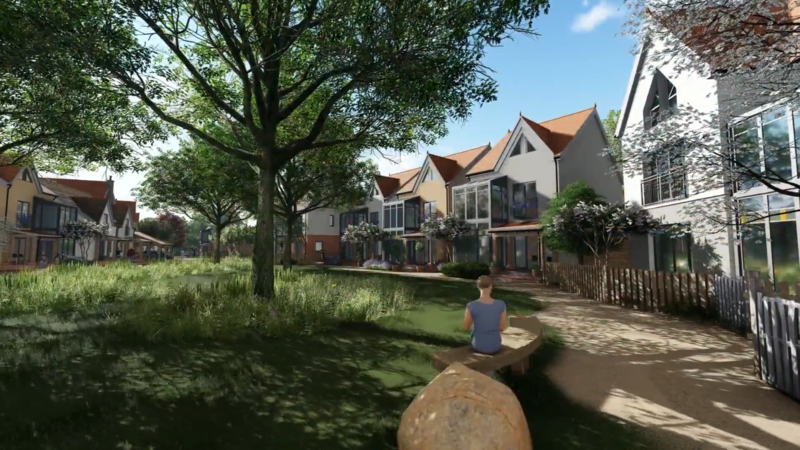 The scheme offers a vision of quiet village lifestyle combined with extremely energy efficient homes that are ideal for a future-proof retirement. 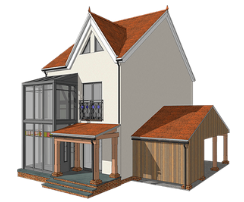 The custom build element also enables purchasers to choose from a palette of exterior materials to personalise their home, such as coloured render, brick or timber cladding. The planning consent for house types ensures that, regardless of these personal choices, the scheme will read as a single coherent design. Purchasers benefit from only paying stamp duty on the plot, as opposed to the finished house, which can generate savings of up to £15,000. Buyers have 18 months to complete the construction of their house from purchase, to ensure the scheme is built on in a timely manner. The project has been enabled by a local farmer, Pete Thompson, in joint venture with Village Makers, in a great example of how custom build can connect local landowners with quality development that values placemaking. Ryan Blair, Head of Operations at Custom Build Homes said, “Oakley Orchards is a great example of a residential development which has been designed with a complete focus on improving the lifestyle of all those who will live there. Custom Build Homes are the sole selling agent for Oakley Orchards, with plots ranging from £55,000 to £310,000. Build costs vary depending on spec and the size of the build, but Village Makers anticipate build costs to range between £1,400 to £1,600 per sqm. Find out more at Oakley Orchards website, or visit Custom Build Homes to find out more about purchasing a plot at this unique development. As an estate agent, Custom Build Homes also has a range of other developments that it is marketing across the UK. Newly released figures from HM Revenue & Customs for ‘VAT refunds for DIY housebuilders’ show that the self-build market was responsible for more than a third of all the new detached houses and bungalows completed in the UK for the year to March 31st 2011, and 10.2% of all new home completions. Thanks to its percentage rule for serviced plots, Teignbridge District Council is permissioning a range of opportunities for Custom and Self-builders in the South West. Teignbridge District Council has a percentage allocation rule for serviced-plots, and through this it’s permissioning a range of developments, bringing on more opportunities for anyone in the area wanting to create their own home. The percentage rule is a policy that requires sites of 20 homes or more to provide at least 5% of housing plots to be set aside for Custom or Self-build, usually through a serviced-plot model. When combined with a wider overview of demand for serviced plots, this percentage approach can provide a viable route to land for anyone interested in owner-commissioned homes. The biggest recent project to receive Custom Build allowances is a proposed 1,350-home scheme on the outskirts of Exminster. 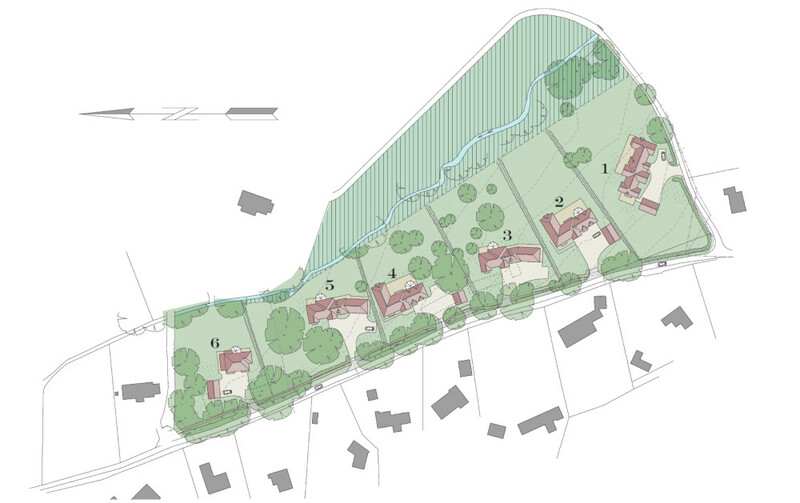 The scheme, covering over 220 acres of land between Alphington Village and Exminster, will include new housing, a surgery, community centre and school, as well as a minimum of 30 Custom Build plots. 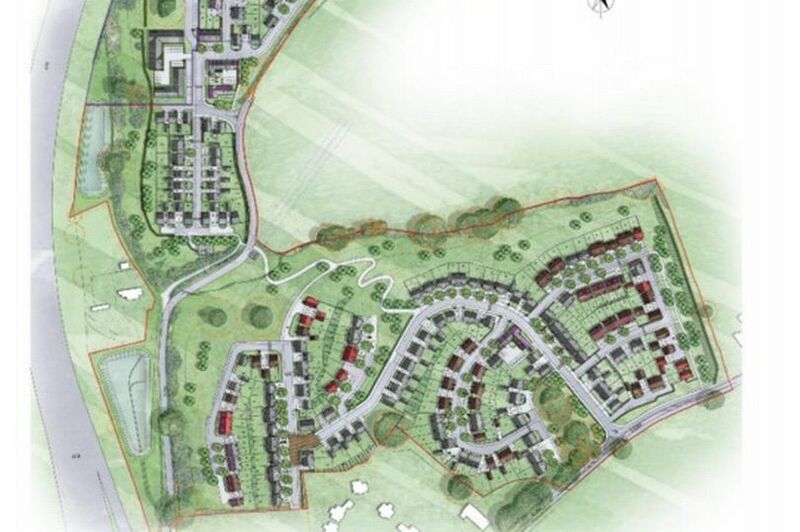 The scheme is the largest housing project approved by Teignbridge District Council, and it has taken developer Bovis Homes almost 18 months to finalise the details with the planners. Teignbridge District Council has also approved plans for a second housing development at Station Hill, Chudleigh (pictured). This scheme will deliver 229-homes, built by Linden Homes, including a foot and cycleway, allotments and playground. Of the 229 homes, 46 will be affordable housing and 11 will be custom build plot opportunities. Although a long way from coming to market, with planning permssion granted at these locations anyone considering an owner-commissioned home in the South West should be keeping an eye on these sites as possible plot opportunities for the future.